1903 when C. Jung was a young psychiatrist, he followed Freud’s psychoanalytic orientation to comprehend mental illnesses. Jung was the first to employ that method with schizophrenic patients. Supervised by Bleuler, Jung and a group of therapists originated the idea of symbolic communication to comprehend schizophrenic patients. Freud did not have much access to hospitalized schizophrenic patients, therefore his theoretical formulations derive from paranoid patients not diagnosed as schizophrenic and from Schreber’s biography. Freud’s contributions include the concepts of primary narcissism, his views about restitutive phenomena and the dynamic of projection. Even though Freud’s early consideration of schizophrenia as a non psychotic continuation of mental disorders, he later concluded that some of its aspects could be comprehended from a psychological point of view. The majority of the European psychiatrists considered schizophrenia as an illness without access though psychotherapy. An exception is Paul Federn whose theoretical contribution and concepts had to do with the boundaries of the ego and more recently the theoretical concepts of Melanie Klein and the clinical implications of her co-workers. In the United States, Adolph Meyer concluded that schizophrenia could be understood as logical reactions to psychiatric disorders, but maladapted to everyday life. Harry S. Sullivan brought in the consideration of schizophrenia as a human process and the hope for successful individual psychotherapy. Frieda Fromm-Reichmann, one of Sullivan’s disciples emphasized the importance in leading and utilizing the patient’s ego in individual psychotherapy. Her technique clashed with the dramatic techniques called "direct analysis" (John Rosen), directed to the "id". His work suggested that an intensive and active, but brief intervention could result in extraordinary changes in the most severe of the psychiatric disorders. Later investigations lead to the conclusion that Rosen’s techniques did not result in lasting changes. Nevertheless, several universities initiated the teaching of individual psychotherapy for schizophrenics with students, as a facet of their internship as a result of his work with these patients. From this period, a third generation of prolific psychotherapists emerged representing psychoanalysis, like Arlow, Frenner, Jacobson, Wexler and Boyer and for academic psychiatry, names like Pious, Semrad, Lidz and Arieti. 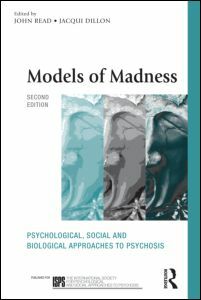 We find their efforts in adapting a psychoanalytic technique to a private practice and a wider recognition of the social environment and its power in creating or reducing the schizophrenic psychopathology. Harold Searles (Maryland-Washington) got the largest amount of followers: he stated his problems of counter-transference while growing as a psychotherapist with schizophrenics and contributed to the concept of therapeutic symbiosis to understand the psychotherapy with schizophrenic patients. Otto Will also stated eloquently the problems of affect frequently found in the intensive work with schizophrenics. Both Searles and Will have helped stimulate the use of individual intensive psychotherapy in people with chronic suffering and severely disabled schizophrenics. Jack Rosberg who’s spent forty years working with schizophrenics trained with John Rosen. Its description in this thesis is a summary of the video observations utilized in microanalysis procedures as well as observations done when J. Rosberg gave conferences to the Psychology Faculty of the University Nacional Antonoma, in Mexico, during a five day period. When we asked Rosberg about his psychotherapy technique, he said "During the many years of speaking to audiences about my psychotherapy techniques with schizophrenics, I have often felt uneasy about whether what I said described accurately enough what I did. Because my psychotherapeutic efforts are more intuitive than cerebral and that I seldom approach a psychotherapy session with a preconceived idea of treatment, so I am frequently left with some doubts about my delivering a good enough understanding of my work". l. Schizophrenia may be treated with psychotherapy. The psychotherapist must believe in his abilities for this therapy. 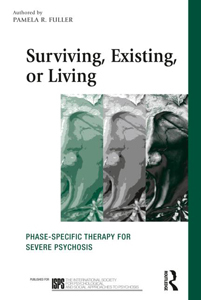 2.For a successful therapy it is not necessary to have a complete understanding of the etiology of schizophrenia. 3. The schizophrenic felt rejected, despised, detested in his significant interpersonal relationships. To decrease the suffering and prevent it from happening again, the schizophrenic puts distance between him and the others through a psychotic symptomatology resulting in a "repetition of rejection." 4. Schizophrenia is a survival mechanism and the symtomatology is a way for the schizophrenic to be distant from others, to decrease suffering and the fear of rejection 5. The psychotherapists must control the therapy session. 6. If the schizophrenic does not voluntarily communicate interpersonally with the therapist, it is necessary to force the communication. It is irrelevant if the initial relationship is positive or negative. What’s important is for the communication to happen. 7. There must be a strong therapeutic alliance between the patient and psychotherapist in which the patient engages in interpersonal relations and wishes to get better. 8. The psychotherapist must be tolerant with the problems of negative transference and be able to utilize and manage the anger to break the psychotic defenses to provoke a positive reaction towards therapy. 9. The “acting out" is not necessarily a regression. It means that the psychotherapist has gotten close psychologically and the schizophrenic tries to retreat from the therapist. 10. To effectively work with the schizophrenic, the therapist must be able to confront or face his own craziness. 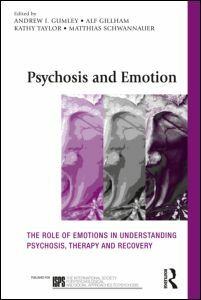 Rosberg believes that, to a point, the psychotherapy with schizophrenics is a suppressive technique. It’s useless to try to manage the contents of the patients process of primary thinking. It is necessary to take that back to the unconscious and help the patient in creating some limits to the ego, that is to help "him" develop defense mechanisms to manage the process of primary thinking in slower and more effective ways. Rosberg thinks that the verbal content that the schizophrenic presents, has the objective of confusing and keeping the therapist away. What happens in the therapy process of the Psychotherapy of Direct Confrontation is that the therapist gets involved in a communicative interaction with the schizophrenic. In the majority of the cases, it is necessary for the therapist to force the interaction with the patient. Through this, the therapist attempts to establish an interpersonal relationship with the patient that leads to a therapeutic alliance. The therapist tries to persuade the schizophrenic to abandon his psychotic symptomatology and the characterologic disorder and to learn more effective and more appropriate mechanisms for a positive life. This generally does not happen without an intense struggle between patient and psychotherapist. Schizophrenia is considered to be a survival mechanism thus the schizophrenic won’t give it up. Therefore, the therapist’s direct confrontation in a supportive environment, forces the patient to face the same problems that have made him seek refuge in the world of madness. In schizophrenia, the psychotherapy should not be contingent on the comprehension of the etiology. Rosberg believes that many factors may cause schizophrenia. He does not deny the possibility of it being organically based. It’s not that important to know the causality, but for the therapist to be able to and wish to help the schizophrenic live a reasonable, meaningful and productive life. The therapist must accept the element of rejection in almost all cases. This implies that previous interpersonal relationships were such that the patient felt rejected, underestimated and despised, usually very early in life. Rosberg states: "They act very inappropriately, nobody cares for them, they are mistreated, nobody wants to deal with them". (R.1982). If this behavior persists, this continuous rejection leads to a schizophrenic reaction. Rosberg thinks nobody is totally schizophrenic. In his therapy technique, he constantly seeks a way of finding the healthy basic nucleus. "I believe that there is some healthier life in the internal world of every schizophrenic".(R.1982). Per Rosberg, the defense mechanisms in the schizophrenic are conscious and unconscious, they are always battling. Everything schizophrenics do have the purpose of keeping others away from him to avoid suffering. Rosberg suggests that the chronicity of schizophrenia is based on the organization and systematization of the delusional system. This concept is similar to Arieti’s crystallization in which the schizophrenic has accepted his delusional system and he’s not afraid of it. It is a fact that he may find relief and confidence inside his own internal reality. So Rosberg indicates that the psychotherapist must create a dystonic effect at the beginning of therapy to mobilize anxiety and promote an acute schizophrenic reaction. Rosberg states (R. 1982): “Therapy with schizophrenics aims to put pressure on the patient to get an acute exacerbation, then, I have someone frightened seeking help". One of the therapists basic techniques is making the patient aware of the presence of the therapist and also that he is strong enough to struggle with the patients madness. Once the schizophrenic is brought out of his psychosis and is capable of responding to reality with reality, he may be responsive to more traditional techniques of psychotherapy. It’s not enough to eliminate the symptomatology. Re-socialization is necessary to assure a lasting effect. An important scenario for this form of treatment is "an open door clinic" that allows the learning of new skills for socialization. Patients are stimulated by several psychotherapists into performing various activities, in the clinic as well as in the community. They are taken to the movies, to sport events, hiking. Rosberg thinks that without adequate stimulation the end result is a case of "facility environment adaptation". As the patient improves, he is stimulated to attend classes at school or the university or to look for a job in order to achieve independence. In the therapy for schizophrenics, there is neither history nor evaluation methods. The only evaluation method utilized is to explore: (a) the risk of escape, (b) the potential for suicide and (c) the potential homicidal or violent tendencies. Usually, the therapist starts sessions without knowledge of the patient’s social history, because it’s considered better not to have ideas that could inhibit the therapeutic process. Generally speaking, the therapist starts the first session interacting with the patient, helping the patient understand that the therapist is in control, but at the same time offering him assurance and protection. With this manifestation of strength, honesty and care, that the therapist expresses in a consistent way is often the start of the therapeutic alliance. Nevertheless, the negative transference must be utilized to break the psychotic defenses. Rosberg feels that it is necessary to work with the enormous aggression of the chronic schizophrenic, thus, catharsis is imperative. Fear, hurt, and anger, frequently produces an acute schizophrenic reaction. This process is necessary to make the patient more agreeable to change. Brodnick, one of Rosberg’s collaborators for many years, was the first one to identify four steps in this process. Later, another collaboration analyzing the videos on Rosberg’s sessions came up with a fifth step. The first four are mainly about the psychotic behavior and the process of breaking the psychotic defenses (hallucinations and delusions, etc.). The fifth step starts after this, once the patient can interact in "reality with reality". Not all patients are treated with the same five steps. 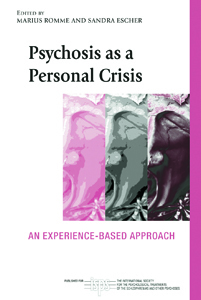 Brodnick stated that the therapist breaks "directly in the delusional system of the patient to remove him from the schizophrenic process" (Brodnick, 1977, page 7). The patient is, in the beginning, verbally agressive or in denial, and tries to get the therapist confused and distant. The therapist may respond in unusual ways in an attempt to confuse the patient and effect a reductum ad absurdum. In doing this, the therapist gets more information. The more odd the therapist, the more normal the patient behaves and points out that the therapists is crazy". The more the patient is effected, the more information about himself is exposed and his “logical defenses" starts to vanish. The therapist gets stronger and confronts the patient with basic subjects, producing an emotional catharsis. Brodnick states that this is the "exit stage". Step V. State of Re-Socialization. Once the patient has come out of the schizophrenic behavior and is aware of some of the causes of his suffering, he is encouraged to participate in community activities and in relationships with others (family, friends). Therapy emphasized re-socialization for the patient to gain independence. The patient is assigned to another therapist to lower the intensity of the transference relationship. Jason Aronson…..Bellak Leopold (1979: Disorder of Schizophrenic Syndrom, Neuva York: Basic Books…. Rosberg, J. (1978) (1983) Communicaciones personales.